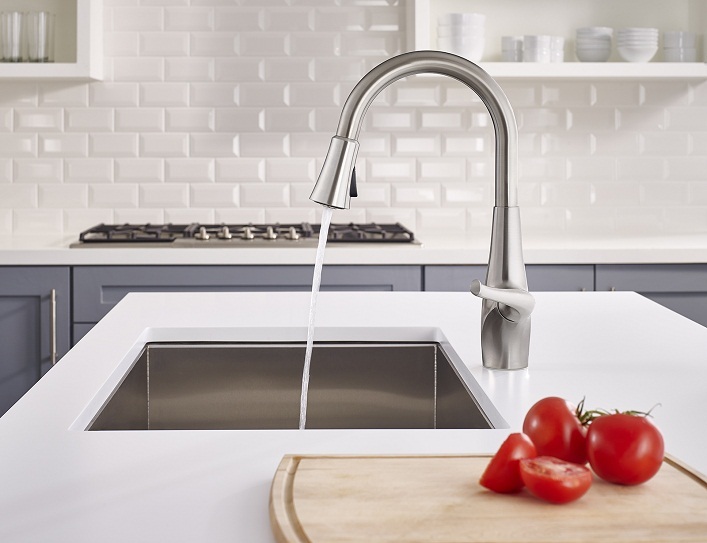 Mix and Chic: The best water filter faucet for your home! Thanks to Pfister for sponsoring today’s post and inspiring me to try the new Pfister Xtract filtration technology! While we are mindful of what we eat to maintain an optimal health, sometimes we forgot the other most important element we put into our body, our drinking water. Do you realize our drinking water or tap water is filled with all sorts of contaminants? Just how bad are these contaminants for you? What's in your drinking water supply? Chlorine is used to kill parasites and viruses in our tap water. However, studies have shown that long-term exposures to chlorine by-products can lead to miscarriage or birth defects. If you live in an older home, anything that is built before 1975, you have pipes that contain lead, which can seep into your water. The harmful effects include irritability, anemia and nerve damage. Lead poising can cause miscarriage and other fetal problems. Sometimes, bacteria like E.coli can make their way into water from human and animal waste that runs into reservoirs from broken pipes and sewage systems. Most people recover quickly but the young, the elderly, pregnant women and those with weaken immune systems are at high risk of developing serious complications. Every time someone takes a pill, traces of it will come out when they urinate. And that urine with the drug residue will eventually find its way back into our tap water (yikes!). The presence of antibiotics, prescription drugs, mood stabilizers and hormones in our drinking water supplies from meds like birth-control pills could be harmful to human especially to fetuses, babies and toddlers. An alternative to tap water but not the most financially sustainable. Also, it's not environmentally-friendly and generates a lot of consumer waste. Plus many bottled waters contain toxins, even if they have nixed BPA. What's in my water tap? I was sent a complete water analysis kit to test my drinking water. The results shown that our tap water raised no concern in general except for the water hardness which is at a not "okay" level but I guess there's always room for improvement, don't you think? Perhaps getting a water filter that can reduce the water hardness in my drinking water and reduce pharmaceuticals at the same time? Pfister faucets with Xtract technology might be the solution I am looking for! With Pfister Xtract, it delivers great-tasting filtered water and regular tap water from a single faucet,2x faster than typical water filter products. Xtract uses GE®2x High Flow Filtration which reduces contaminants such as pharmaceuticals, chlorine, lead, mercury, pesticides, insecticides and herbicides. Pfister's innovative engineering team has developed a unique filter solution that is activated through the faucet handle. The faucet functions like any other kitchen pull-down faucet. In addition, it dispenses cold filtered water by pushing the handle back. 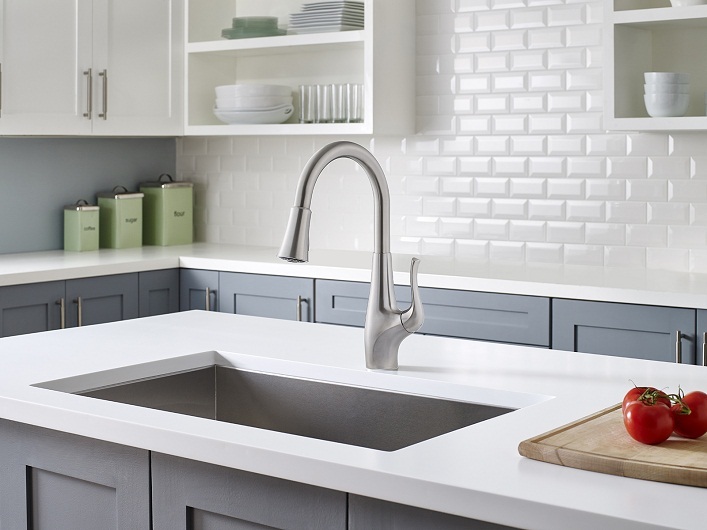 Don't you love this sleek and gorgeous water filter faucet? With all my research, there's no denying that water filtration is the way to go. If your current source of filtered water is too expensive, requires heavy lifting, requires some travelling to purchase it, perhaps it's time to make the switch to a beautiful faucet with Xtract technology! 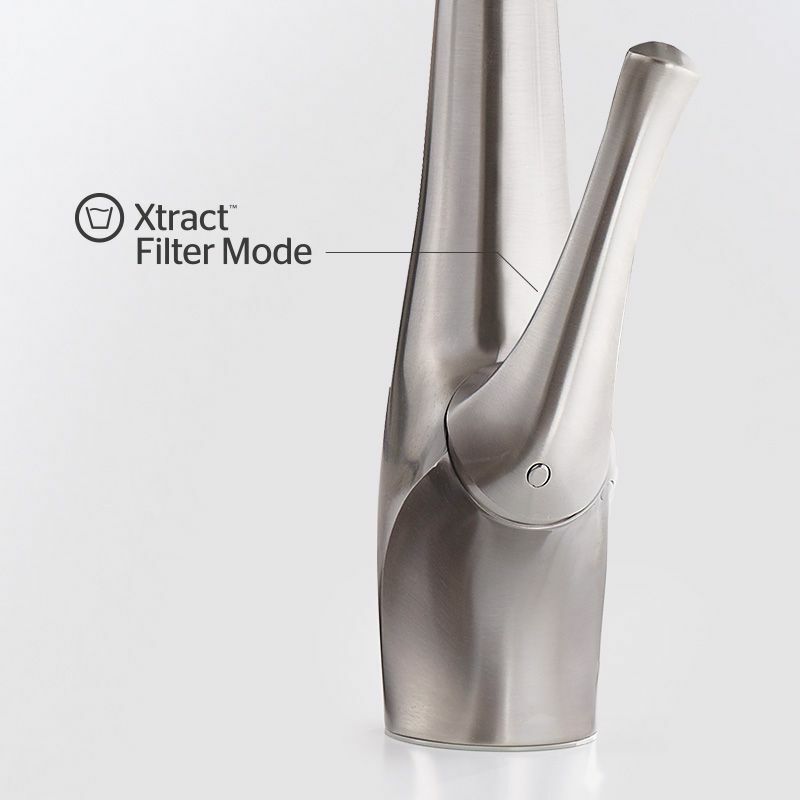 #FilterRevolution Wouldn't you want the best water filter for your family?